Here’s our pick of the top ten must see places to visit in Western Australia for 2019! Add these uniquely West Australian experiences and destinations to your ‘must do before the years out’ lists. Western Australia is the largest state in Australia covering 2.646 million km². That’s about 32 times bigger than the United Kingdom! 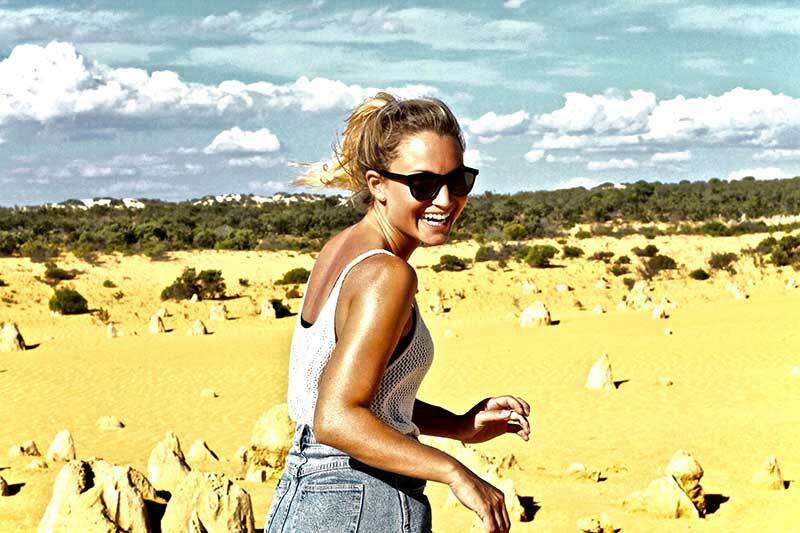 There’s loads of epic spots in this huge state, making a decision on what to see a hard one, so we have come up with a list of what we consider should be on everyone’s Western Australia bucket list. To take the hard work out of all the trip planning we’ve also included a featured tour option, just to make life a little easier. Some of these spots are remote and can be a little hard to get to, let your hosts do all the planning, sit back and enjoy the whole experience. Tours often include transfers, transport, national park entry fees, meals and expert knowledge. For those of you who prefer to feel the wind in your hair as you cruise down the highway with ‘Bat out of Hell’ playing on the radio… no worries, read on. Our must do list also provides information for the DIY’ers, including, destination information, distances, facilities and accommodation options. Been there, done that? Ok, smarty pants… Let’s play, give yourself a point for every destination and experience listed. Good Luck! Karijini National Park, located in Hamersley Range is Western Australia’s second largest national park. Offering visitors an oasis in an otherwise dry environment, this location is a hidden gem that covers an area of around 6275 km². The .2,500 million year old gorges are formed from ancient water erosion and provides swimming holes and adventure. The gorge temperatures drop compared to the upper ground level, giving way to an oasis for visitors, the natural Flora & Fauna and the local wildlife. Located: Karijini National Park is located just north of the Tropic of Capricorn. 74kms from Tom Price and 1400kms from Perth. Getting Here: Tours run from Perth to Karijini National Park, offering food, transport and accommodation. Alternatively, visitors can self drive from Perth. Tom Price also offer day tours into Karijini National Park. Where to Stay: Camping is available at Dales Gorge campsite. Karijini Eco Retreat offers camping, dorms, eco tents and cabins. Tom Price offers a range of accommodation options including Tom Price Tourist Park, Tom Price Motel and Windawarri Lodge. Best Time to Visit: Winter is the best time to see Karijini, when the tours are running and the temperatures are cooler. What to Pack: Drinking water, sensible walking shoes and clothing, a wide brim hat, sunscreen, a camera and swimming gear. What’s a trip to Karijini without an ultimate Karijini adventure experience!? Slide off a waterfall, hike, abseil, tube ride, eat lunch under a waterfall, rock climb and go on a spider walk rock climb! Definitely a tour for the adventurous, remember to take an underwater camera! Take a journey into a limestone forrest like featured landscape, situated on top of dune system near the town of Cervantes. Limestone Pinnacles rise up out of the sandy dune in all shapes and sizes, some as tall as 3.5 meters. Scientists are not sure how old or young the landscape could have formed, surrounding the place in a small mystery. The ever changing dunes create an interesting place to visit. The Pinnacles are close to Perth and an ideal place to visit with a tour group for a day trip. 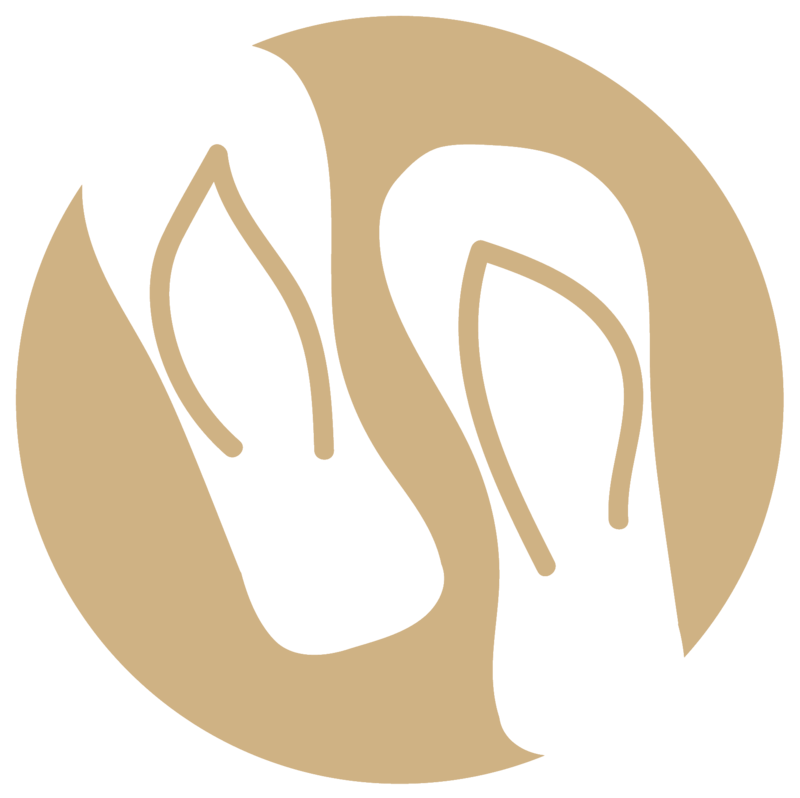 Some tour operates offer a trip sand boarding on the huge nearby sand dunes at Lancelin too. Not far from the Pinnacles are 3.6 billion year stromatolites at Lake Thetis. Stromatolites are the oldest known organisms on earth and offer an interesting place to check out while in the area. Located: The Pinnacles are located 23kms South of Cervantes and 191kms north of Perth, along the Indian Ocean Drive. Getting Here: Day trip tours are available from Perth. Alternatively, visitors can do a self drive option. Where to Stay: A day trip from Perth is a great option for anyone who already has accommodation in Perth. If you’d like to self drive and combine accommodation Cervantes has places on offer to suit all budgets including, Cervantes Pinnacles Motel, Pinnacles Edge Resort, Cervantes Lobster Lodge, Cervantes Windbreak B&B. Best Time to Visit: Early morning or late afternoon the Pinnacles create an interesting landscape from their shadows as the sun sets or rises. What to Pack: Drinking water, a wide brim hat, sunscreen and a camera. Jump on a bus and explore the Pinnacles the easy way! With transfers and lunch included, enjoy a full day out, departing and returning to Perth. This tour showcases some of the best spots to see in the Cervantes region, the Indian Ocean drive is one to enjoy, remember the camera! Albany is located on the south coast of Western Australia and is a popular holiday destination. The first map drawing of the south coast region was in 1628, more than 100 years before Captain Cook set foot in Botany Bay. Albany was the first European settlement established in Western Australia, providing tourists with a place full of history to visit. From the whaling station, National ANZAC Centre to a lighthouse with a story, there’s plenty of things to see and do. Denmark and Walpole are towns close to Albany, within a days drive, along the way visitors can stop at the Valley of the Giants Tree Top Walk, an ice cream shop and see protected beaches that shape the rugged, wild coastline. Located: Albany is 413kms south of Perth via the Albany Highway. Getting Here: Albany airport has flights to and from Perth if you prefer to fly. If driving the trip to Albany travels through small towns that are worth stopping at and having a wonder around. Alternatively, if you prefer to take a guided tour, there are adventure trips from Perth that will cater for your every need during the trip. Where to Stay: Albany has a range of accommodation options, from budget to expensive. Best Time to Visit: The South Coast of Western Australia is a popular destination during the summer months when the weather is warmer. However, Albany can be a very beautiful place during the winter months and appealing for anyone wishing to spend some time visiting cafes with indoor wood fire places. There’s something so cosy about siping a hot chocolate while watching rain clouds pass over. What to Pack: Depending on the time of year, during winter pack Ugg boots and warm clothing, during summer pack bathers and beach things, and a camera. The natural beauty of Albany is spectacular. Do a Scenic Flight & Have Lunch with a Lighthouse Keeper! Departing form Discovery Bay take a 1 hour scenic flight over the Albany coastline to Breaksea Island Class A Nature Reserve, situated in King George Sound. Discover the 1858 lighthouse ruins and see the new lighthouse built in 1902, that still operates today. The lighthouse keeper’s cottage and second cottage was built in 1908. The tour includes a picnic lunch hamper and 45mins to explore Breaksea Island. Bikes, Quokka’s and selfies, words that most of us will associate with Rottnest Island! Quokka’s are cute little balls of friendliness, that just beg to have a photo taken alongside visitors. Although, they are a wild animal and we wouldn’t suggest you get too close or actually try to give one a hug, In fact Quokka’s are on the ‘vulnerable list’ and ranges will fine anyone touching one $300. Due to their declining population, people are visiting Rottnest to see these cute little faced creature in their natural environment, bringing in tourists from all over the world. This native Australian marsupial is a nocturnal herbivore, the best time to see an active Quokka is at night time. Rottnest offers a clean environment for the natural Flora & Fauna, as well as quokka’s visitors can also expect to see birdlife, mammals and a large array of sea life. There’s no cars on Rottnest, but never fear bikes can be hired! The Island is set up for pushie exploration, giving you plenty of chances to spot a Quokka or two. Located: Rottnest is a short trip of up to 45 minutes long, depending on the ferry and departure location, from the mainland. Getting Here: Rottnest ferries depart from Hillarys Boat Harbour, Perth’s Barrack Street Jetty and Fremantle. Where to Stay: Day trips are common, however there’s accommodation on Rottnest Island for those who wish to stay a little longer, ranging from budget to expensive. 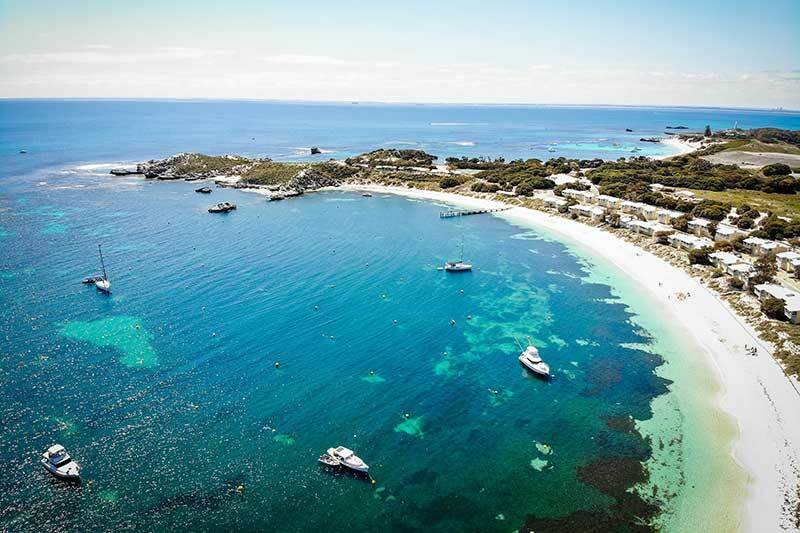 Best Time to Visit: Rottnest is open to tourists all year round, November to February during the summer are warmer months, if planning on doing some swimming or water sports this is the best time to visit. Spend some time out on the water on a 3.5hr Eco Adventure Tour! Remember to take your camera, hat, sunscreen, water and relaxed vibe. This tour is all about relaxing and learning about what the Rottnest marine environment has to offer. Dunsborough is a town in the Margaret River Wine Region and brings in visitors from all over the world yearly. Known for the wild and world class surf breaks, wineries, limestone caves and the Cape to Cape walk, among other things, the region has much to offer. The township of Dunsborough was once a small fishing and farming area, now the town is a hub of activity, restaurants, cafes and is a tourist hotspot. The local bakery established in 1941 is a must do stop when visiting the area. Located: Dunsborough is located in the South West of Western Australia. In the Margaret River wine region. Getting Here: Travelling south from Perth to Dunsborough by car takes around 3 hours. Buses are also an option and a train travels daily from Perth to Bunbury where connect buses travel to Dunsborough. The Busselton airport also operates flights to Perth. Day tours and longer tours also depart from Perth, showcasing the South West of WA. Where to Stay: The Margaret River Wine Region has a range of accommodation to suit everyone. From Caravan parks to five star accommodation options. 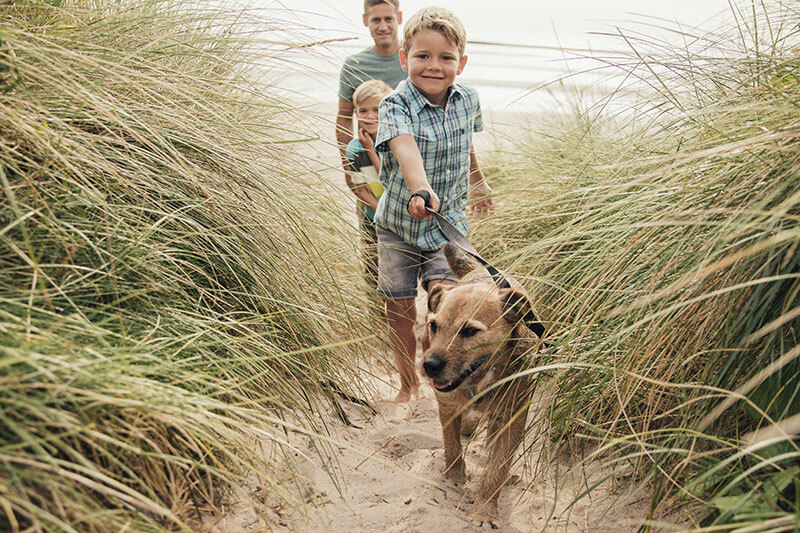 Best Time to Visit: The summer months are ideal for seeing the South West if you prefer warmer days filled with swimming and beach activities. The winter months are ideal to see the area green and frosty, or for seeing the Humpback Whales. What to Pack: Depending on the time of year, if visiting during winter pack warm clothing, UGG boots and jackets. If visiting during the summer months pack bathers, towels hats and a camera. The temperatures can vary drastically and there’s an ideal time to visit to suit everyone;s tastes. What’s a trip to the South West of Western Australia without seeing some of the local surf spots and wildlife? Jet Adventures have a Wilderness Cruise during the winter months, Pete the skipper will show people some of the best local spots around the area including Castle Rock, Meelup Beach, popular surf breaks, Eagle Bay and Bunker Bay. Keep an eye out for playful dolphins, fur seals, whales, and a huge variety of birdlife. The Ningaloo Reef is like no other reef in Australia, fringing the shoreline along a large area of the north or Western Australia. Visitors can simply step off the shore into another world where marine life and coral are in abundance. This untouched and unique reef system is ideal for snorkelling, swimming and swimming with the majestic Whale Sharks. Visitors are often blown away by the clean waters, colourful coral and amount of life that can be discovered only meters from shore. This almost secret spot of Australia has a small amount of visitors each year compared to the Great Barrier Reef offering an unspoiled, natural playground. Located: Exmouth is located 1250kms from Perth. The Ningaloo Reef is located in the Cape Range National Park about 41kms from Exmouth. Getting Here: Flights depart Perth daily for Exmouth. 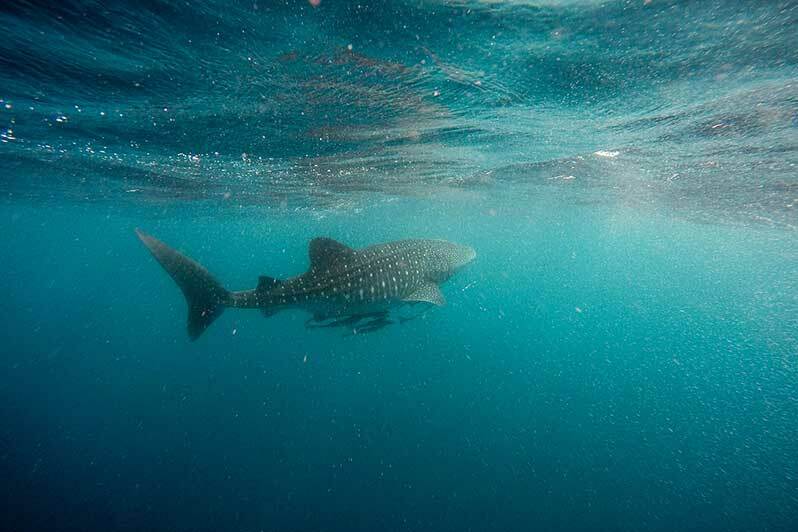 Whale Shark tours operate during the months from May to October departing Exmouth. Where to Stay: Exmouth has a range of caravan parks, hotels, motels and holiday homes on offer to suit all budgets. Camping is permitted in the Cape Range National Park. Best Time to Visit: To swim with the Whale Sharks visit during the winter months from May to October . The oceans and weather is warm and balmy. What to Pack: Togs, towel, hat, sunscreen, thongs, and a camera. Join Ningaloo Blue on their 65 foot vessel for a day spent out on the water exploring the Ningaloo Reef. Depending on the time of year the tours on offer vary from Humpback Whale snorkel tours to Whale Shark snorkel tours. Either tour is sure to excite and exhilarate! Lucky Bay in Esperance is better known for white squeaky sand, clear icy water and roos that visit the beaches. Often seen in holiday pics on social media, friendly Kangaroos rest on the sandy shores alongside the tourists. The Recherche Archipelagos and coastline offers a picturesque landscape with rising islands and granite peaks. Lucky Bay is located within Cape Le Grand National Park, within the area there’s plenty to see and do including walks such as the Cape Le Grand Coastal Trail and a hike trail up Frenchman Peak (262m). With white sandy beaches and crystal clear water, this is an area of Western Australia that brings in visitors and campers from all over. Located: Lucky Bay is located 50 km SE of Esperance. Esperance is 714kms south east of Perth. Getting Here: Self driving is an option, especially popular for people wanting to do a spot of camping within the region. Planes fly between Perth and Esperance on a regular basis. Tours can also be booked that will cater for most peoples needs. Where to Stay: Camping is available within the Cape Le Grand National Park. Esperance has a range of accommodation options including caravan parks,, resorts and holiday homes. Best Time to Visit: Summer is the most popular time to visit the area, when swimming is an option. The wild flower season is also a popular time to visit, during the months of August through to November. What to Pack: A beach umbrella, bathers, hats, sunscreen, a camera and hiking gear. 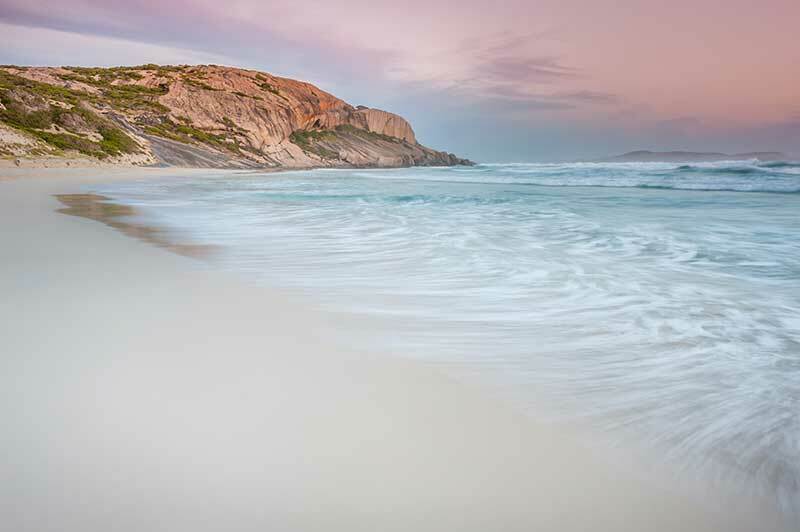 Explore Esperance and Cape Le Grand on a Day Tour. Depart Esperance to see The Stonehenge, a full-sized replica of the original Stonehenge that is aligned to the southern hemisphere summer and winter solstice. 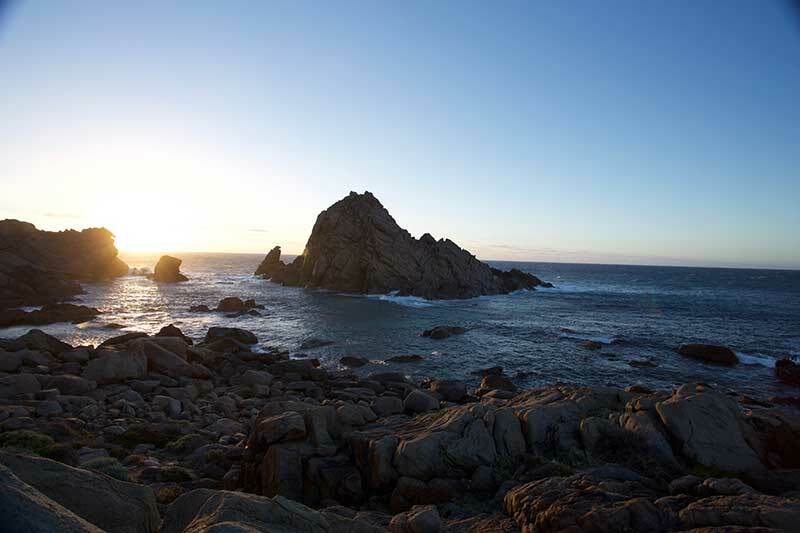 Explore Cape Le Grande National Park including Hellfire Bay. See artisan fish leather products and glass artworks. See the Esperance foreshore, views of Spencer Lake, peaceful bay and Twilight Beach… Voted “most Popular Beach in WA’ & ‘best beaches in the world’. This tour requires 10 people, perfect for a group. Morning tea, lunch is provided. Camels have been trekking tourists at sunset along Cable Beach for over 30 years. The 22 km long flat sandy beach is perfect for the camel trains to meander along, much to the enjoyment of the riders and the onlookers. Catch yourself a camel at sunset, remember to ask the name of the camel you’re on, each has their own fantastically cool names along with a matching established personality. Cable Beach is home to a range of wildlife including turtles, sand crabs and the odd slat water crocodile passing by. Spend some time exploring the rocks to spot 130 million year old dinosaurs footprints that are sometimes uncovered after high tides. Or simply sit back with a glass of wine and watch the sun set into the Indian Ocean. 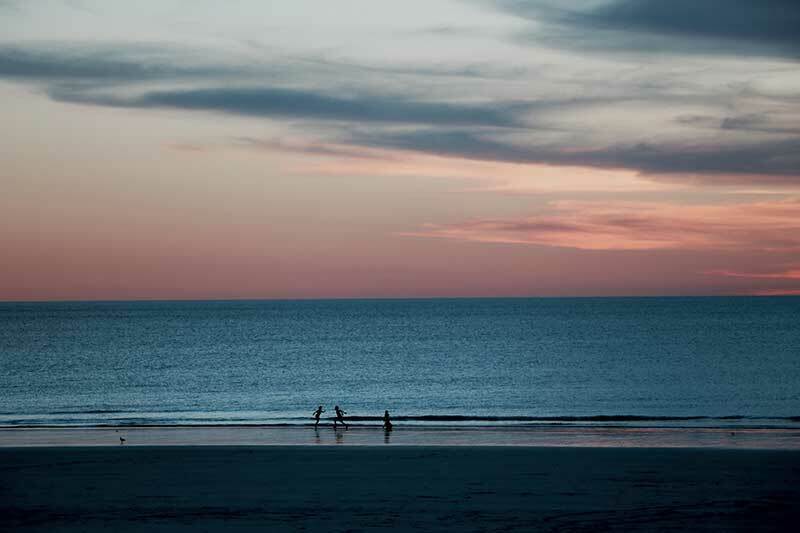 Located: Cable Beach is located 4kms from Broome. Broome is located in the Kimberley Region, Australia’s North West and is about 2,240kms from Perth. Getting Here: Planes depart daily from Perth to Broome, return. Tours leave Perth and travel up along the Western Coast stopping along the way at places of interest, Tours are over several days. Self driving will allow for a personalised itinerary, you could even knock off a few things on this list! Where to Stay: Broome offers accomodation at caravan parks, holiday homes, resorts, backpackers, motels and hotels. There’s a place for everyone to rest. Best Time to Visit: Australia’s North West has a wet season where monsoonal rains and cyclones reach Broome. The most popular time to visit is during the winter months, or during the dry season, from May to September. During this time Cable Beach life savers are on duty and most of the tour attractions are open for business. If lightning, photography and storms are your thing, visit during the summer months. We recommend you jump on a plane as there’s often cheap air flights. Also keep in mind some of the tourist attractions and cafes will be closed. What to Pack: Swimming gear, most accommodation places have pools and during the winter months Cable Beach is popular place to swim. Your toothbrush, always go on holiday with your toothbrush ;-). Oh, and a camera. This popular tour is a relaxing and fun way to see a sunset over the famous Cable Beach. The long white sands reflect the sun setting over the Indian Ocean, creating an ideal Western Australian experience. Located: The Buccaneer Archipelago is located off the coast north of Broome. Broome is located 2,240kms from Perth. Getting Here: Planes fly daily from Perth to Broome. Tours also operate from Perth travelling along the coast all the way to Broome and beyond. Where to Stay: Broome has a range of accommodation options from budget to expensive. Tours that run over more than one day to the Buccaneer Archipelago mostly include accommodation during the tours. Best Time to Visit: During the summer months the area is tropical and monsoonal. Tours are limited during these months. The best time to visit is during the winter months when the season offers comfortable temperatures and a clear blue sky. What to Pack: When booking a tour to the Buccaneer Archipelago’s pack medications, a camera, swimming gear, a hat and clothes for the duration of your stay. The area is remote and you’ll need to pack everything you need for the whole time of your visit. Broome has shops and supplies. 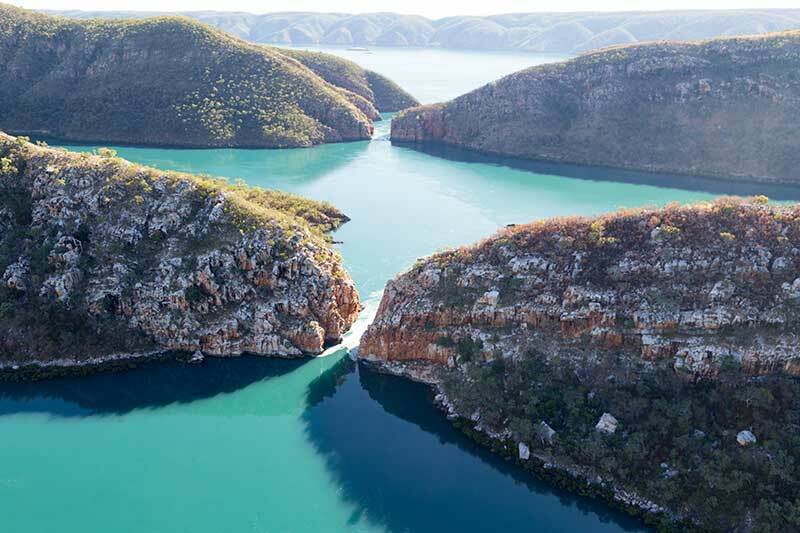 This seven day tour travels through the Buccaneer Archipelago’s including an optional Horizontal Falls tour for an additional $77 per person. The tour includes a scenic flight to Cygnet Bay, a Pearl Farm Tour, 7 nights aboard MV Melantre in twin share cabins with a maximum of 8 guests, all meals, accommodation, all shore excursions and fishing equipment. Swim in fresh water gorges and relax on lush white sandy beaches, catch a barra, see a crocodile, explore ancient Aboriginal artwork and have an adventure of a lifetime! Shark Bay, Denham and Monkey Mia offers an amazing amount of things to see and do. A perfect spot to discover over a week or so, Shark Bay was listed as a World Heritage Area in 1991. 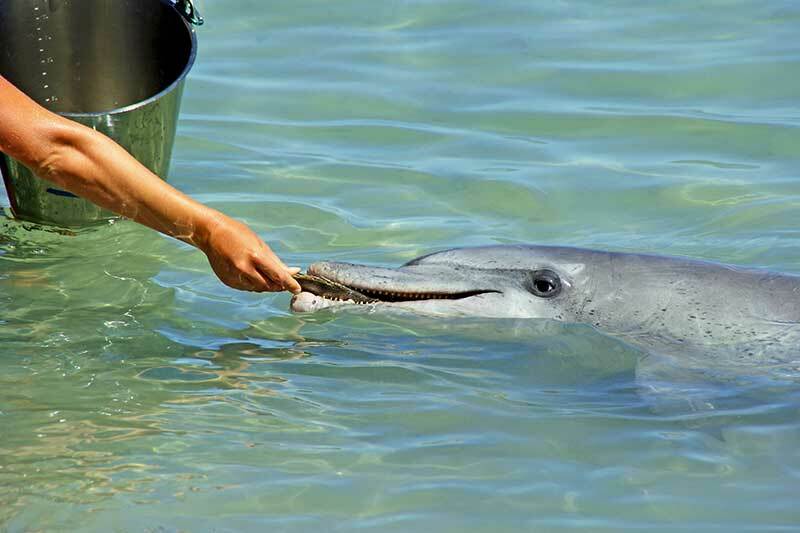 Famous for the Monkey Mia Dolphins a trip to this area wouldn’t be complete without meeting the wild bottlenose Monkey Mia dolphins who visit the Marine Park daily. Other attractions include the Hamelin Pool Stromatolites, the 70km long Shell Beach with the shores 10 meters deep of Cockle shells and Francois Peron National Park. Steep Point and Dirk Hartog Island offer a remote and wildlife experience for those wanting to escape into the wilderness for longer stays in the area. Located: Denham is located 823kms from Perth. Monkey Mia is located 26kms from Denham. Getting Here: Flights depart from Perth to Shark Bay on a regular basis. Alternatively a road trip form Perth is a popular options for visitors who would like to see places along the way. Where to Stay: There’s a range of places to stay at Shark Bay including resorts, holiday homes, self contained units, caravan parks and camping. Best Time to Visit: The area is a popular spot to visit during the winter months, when the weather is warm enough to swim during the day and cooler during the nights. What to Pack: Bathers, beach things and during exploring day trips water, sunscreen and a camera. Spend 5 days exploring this isolated World Heritage area by sea kayak! Discover all the natural and wild beauty of this amazing place and at night camp out under the stars. Discover dugongs, turtles, fish and sting rays. This adventure tour includes specialist gear, stable double expedition sea kayaks, all food and water, a 4WD return trip, as well as experienced and professional guides. Did you play the game? How did you score? Let us know! Travelling is all about the connections we make with the people and places we visit and we’d love to connect with you! Send us your stories of adventures within Western Australia. Planning is key when visiting WA, as the climate can be vastly different between the north of Western Australia in the Kimberley region compared to the south of Western Australia in the Great Southern region. The distances between towns and populated areas are large and remote, adding to the natural beauty of this iconic state. Search Destinations or Experiences to discover more places to visit in Australia. Thankyou Unsplash for providing free and high quality images used in this post!